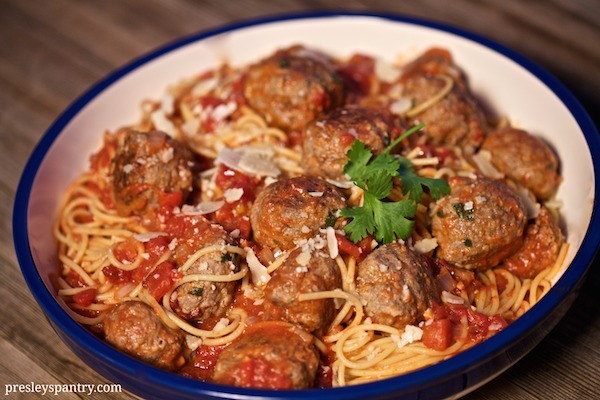 You know that feeling you get when you’re eating something that encompasses your tastes from your youth and combines them with your adult palate… That’s how I feel about my chipotle albondigas and spaghetti. It’s just so good, that the entire table falls silent when I serve it. I swear I’m not sounding my own siren, I’m just giving you the facts. 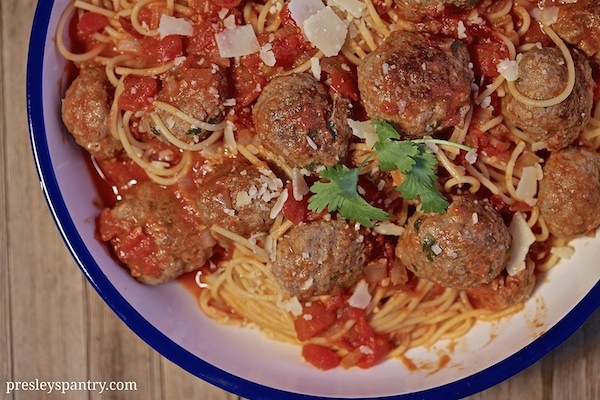 It’s the albondigas in spicy chipotle sauce that remind me of my days as a teenager eating with my Grandpa, and the thick spaghetti cooked al dente that plays to my adult happiness. A few weeks ago I flew to the Barilla headquarters in Chicago and was lucky enough to cook in their kitchen. I felt like Charlie in Willy Wonka’s chocolate factory. I was given carte blanche to anything in the fridge and pantry, and told I had 40 minutes to make something…. and that something had to BE GOOD! When I heard that I had an itsy-bitsy anxiety attack. I quickly scanned the fridge and found ground beef and ground pork… I immediately thought of my Grandpa’s albondigas and how he mixes the two meats. I went to the pantry and sure enough they had some chipotle peppers in adobo sauce on hand, and I then knew exactly what I was making, suddenly I felt all the little ghost butterflies exiting my stomach. I ran over to the area where the wall of Barilla pasta resides with confidence and looked carefully over the many varieties before I settled on a thick spaghetti. 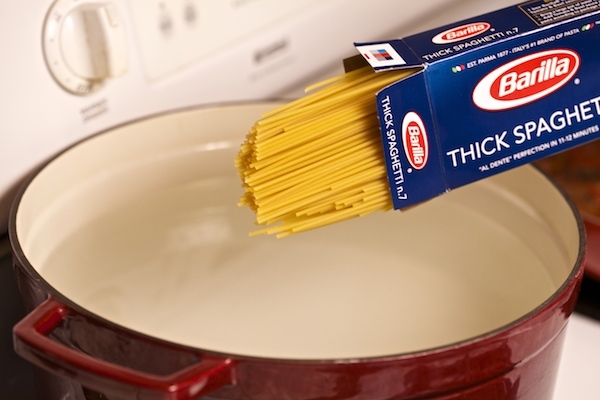 I just love that Barilla delivers a trusted product of superior quality, providing me with pasta that does not stick or clump and a flavor that compliments my traditional Hispanic ingredients. Here’s my recipe so you can make it at home. I made it for friends this past weekend, and the table was silent. In a large bowl combine ground beef, ground pork, egg, bread crumbs, garlic, chile flakes, dried oregano, cilantro leaves, green onion, salt and pepper with your hands. 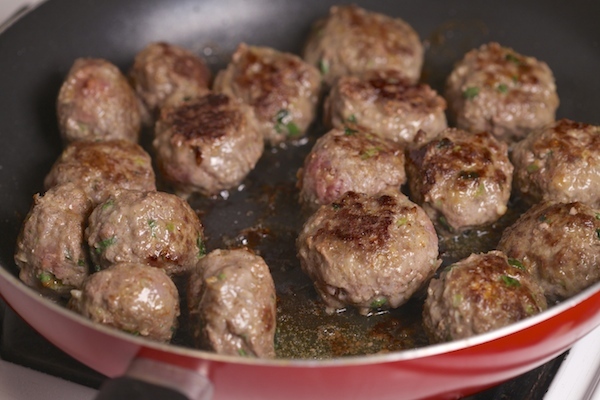 Once mixture is combined, pinch a small amount of meat into a ball and roll to create meatball. 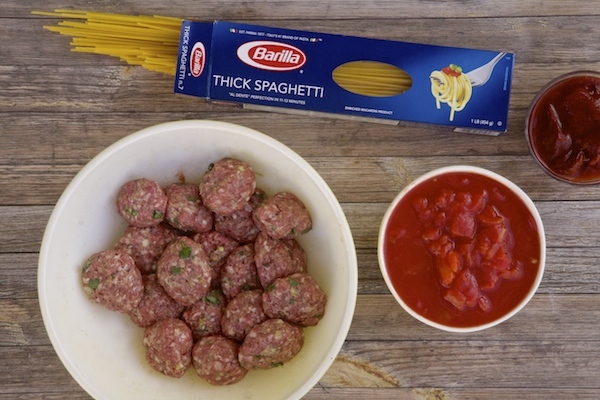 Roll all meat until you have about 20 meatballs. In a large pan over a medium flame add in olive oil and allow it to get hot. Add in meatballs and brown on all sides for about 10 minutes. 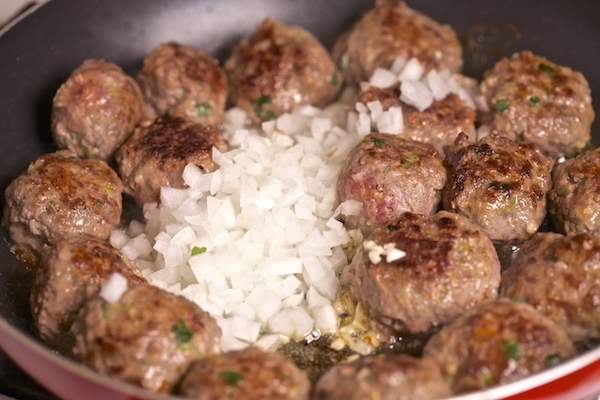 Add in onion to meatballs and saute for about 3 minutes. Then add in tomatoes, chipotle peppers, adobo sauce, and tomato sauce. Mix to combine. Allow to cook another 2 to 3 minutes. 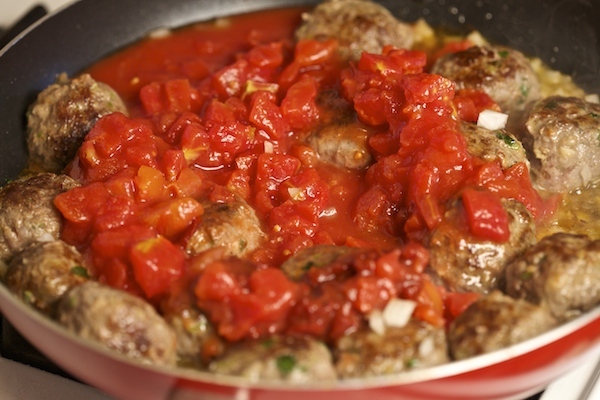 While albondigas (meatballs) are cooking bring a big pot filled halfway with water to a boil. Cook spaghetti to according to the box. 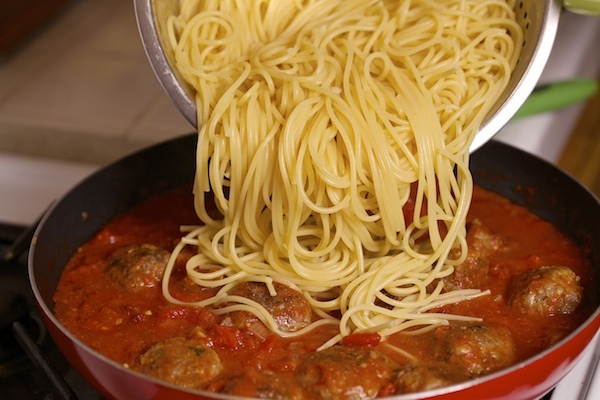 Drain the pasta then add it to the meatball mixture. Mix it and serve in a big platter.